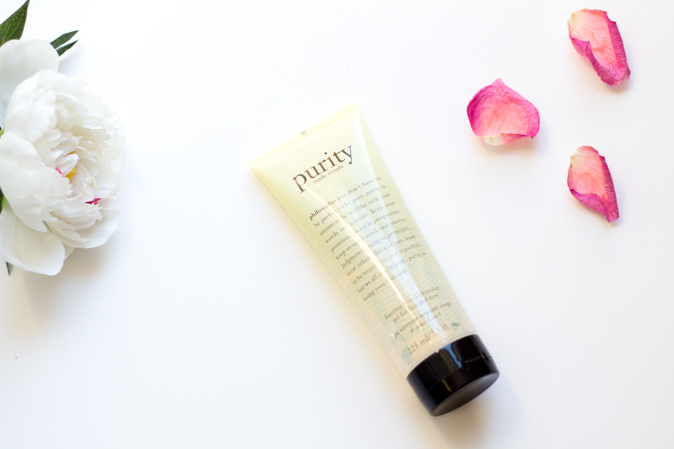 Purity is a VERY well known cleansing line by the brand Philosophy, often spotted on the shelves of Sephora. You may be familiar with the Purity Made Simple that comes in a bottle, but I have a feeling this tube packaging might add a bit of confusion! This is the Purity Made Simple Foaming 3-in-1 Cleansing Gel for Face and Eyes, a slightly different product than the Purity we are all used to. This cleansing gel comes in a 225 ml/7.5 fl. oz squeeze tube for $28 CAD, and can get a little messy but oh do I like it! It removes all of my foundation, eyeshadow and liner but it isn't a miracle worker so it doesn't get my waterproof mascara off. It lathers well and I can see the tube lasting quite a while. I dislike the tube packaging for such a runny product because it can get pretty messy, and wish it came with a pump. This is something you NEED if you want a cleanser to completely remove your foundation and most of your eye makeup, but you just aren't feeling a cleansing oil. Personally, I just don't always want to use a cleansing oil because it tends to be messier. This is super effective at removing makeup and leaves the skin feeling clean. My favourite way of using this is to use a cleansing oil first, and then go in with the Purity cleansing gel to make sure all traces of my foundation are off so there are no chances of my pores getting clogged at night. It does cleanse strongly so it is necessary to add a moisturizer back onto the face afterwards. If you just strictly want to remove your makeup with this, one lather and rinse will likely be fine for minimal makeup wearers. If you are wearing heavy foundation and makeup I would suggest cleansing with this twice, or double cleansing with a cleansing oil first! Find it at Hudson's Bay in Canada.